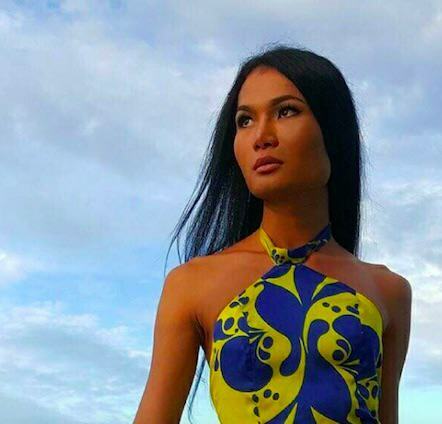 Mimi Tao, 22, is a household name in Asia where the transgender lingerie model stars in everything from major advertising campaigns to high-end fashion shows. But her glamorous jet-set lifestyle couldn’t be more different to her early days when she was a shaven headed Buddhist monk living in a remote temple. She was born as Phajaranat Nobantao, into a well-off family in Khon Kaen, eastern Thailand but while her siblings were at the local public school, Phajaranat was sent off to live a life of quiet reflection – shaving her head and living by the temple’s 200 strict rules. According to The Mirror Mimi was by no means your average monk, donning make-up, turning her room into a secret cat walk and taking birth control pills to stimulate female hormones. The choice didn’t go down well with her parents, and during one visit home her mum even threatened to disown her. I told my mother I won’t change my mind about who I want to become. It was the worst feeling in the world to make my mum cry like that. I promised myself I wouldn’t let her down again and would make her proud of who I am. After six years at the temple, Mimi headed to the coastal party city of Pattaya where she found work as a cabaret performer before heading to Bangkok to work for the famous Calypso cabaret show. However, after seeing a documentary about international supermodel Rojjana ‘Yui’ Phetkanha, Mimi instantly knew that was the life she wanted – eventually meeting the star who helped her become the transgender icon she is today. It is even more open and I believe I have the potential to work there. No one knows the future. I might go back to being a monk once I don’t have anything else to worry [about]. Bets of luck with it Mimi.